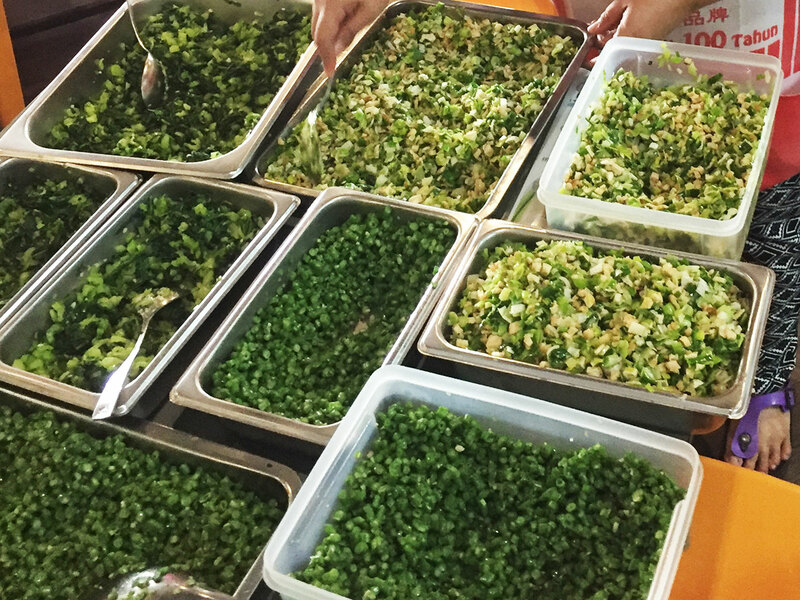 When Judy Yap decided that she wanted the world to taste her Hakka lei cha, her entrepreneurial husband, Barry Tan, decided to do something about it. But instead of a massive launch, the couple started their little “experiment” together by setting up a simple stall at the Centrepoint Hawker Centre in Bandar Utama. Yap’s affinity towards lei cha is understandable, as she had been helping out at her sister’s stall selling vegetables in the Taman Tun Dr Ismail wet market. Coupled with a strong desire to share the secrets of healthy living, she was naturally attracted to the idea of promoting the lei cha. Yap and her husband didn’t do a lot of promotion, except to inform her regular customers at the wet market about it, yet she rarely finds herself in want of customers. One particular customer brought his father to try out the lei cha. Pleased with what he had tasted, the elderly gentleman asked to take a selfie with Judy’s brother, who was at looking after the stall at the time. Another customer of hers had never liked lei cha, but after her friend took her to Yap’s stall in Centrepoint, she had all the zeal of a convert. 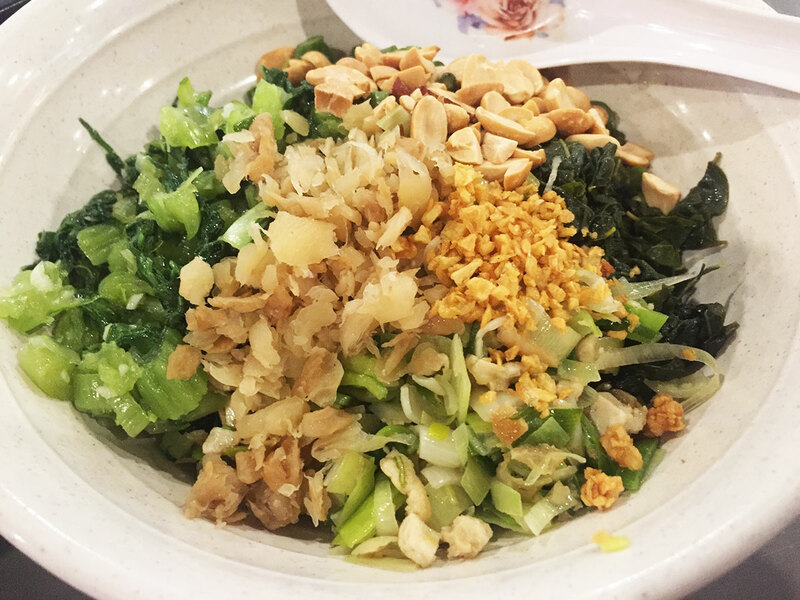 Yet another customer told her that despite knowing about the lei cha stall, she had never tried it until some classmates who were organising a get-together suggested that they all met up there. Just last week, the couple started their second venture at The Starling in Damansara Utama. Subject for another review in the future, but it is nevertheless interesting to see how the couple’s business has evolved from just a simple lei cha stall since they started in December 2016. 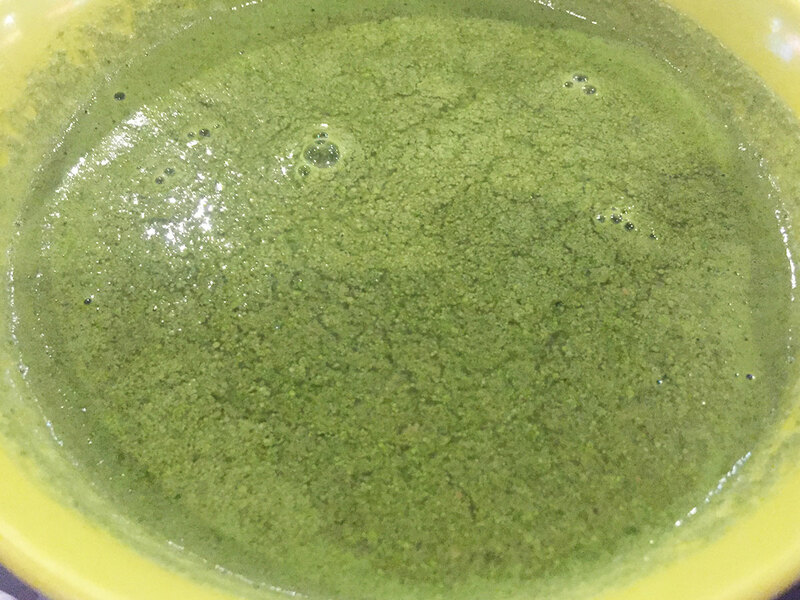 From my last article on lei cha, I realised that patrons are naturally drawn to this healthy herbal concoction, probably due to its lack of availability. This is perhaps why when I was scanning all the food stalls at the Centrepoint Hawker Centre, I was naturally drawn to the lei cha stall there. When asked if she and her husband are thinking of eventually franchising the lei cha, she smiles widely. “Yes, if there are people who are interested, we can do it,” she said. Seeing the responses to my article on the lei cha as part of Voiz’ Healthy Food Trail, I have no doubts whatsoever that it will. For other restaurants in the Healthy Food Trail, click here and here. 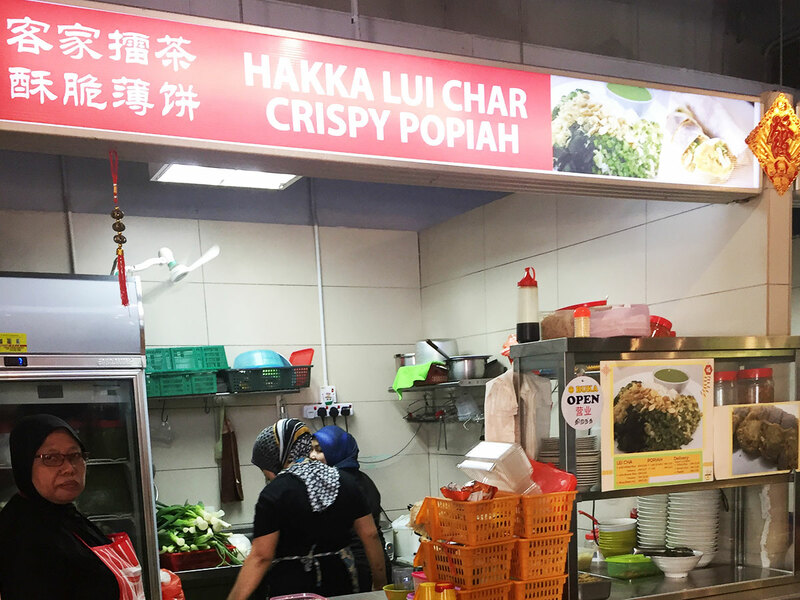 Yap’s lei cha hawker stall is located at at the hawker centre in Centrepoint Bandar Utama, No 1, Lebuh Bandar Utama, Bandar Utama, 47800 Petaling Jaya, Selangor. With Deepavali round the corner, we decided to review a few Indian restaurants, starting with Saravana Bhavan in Bangsar. Especially popular with the last-minute shoppers, Saravana Bhavan, located on the same row as DeGem’s Bangsar flagship boutique along Jalan Maarof, is indeed the other hidden gem in the world of gastronomy that has yet to be discovered, especially by the non-Indian community. 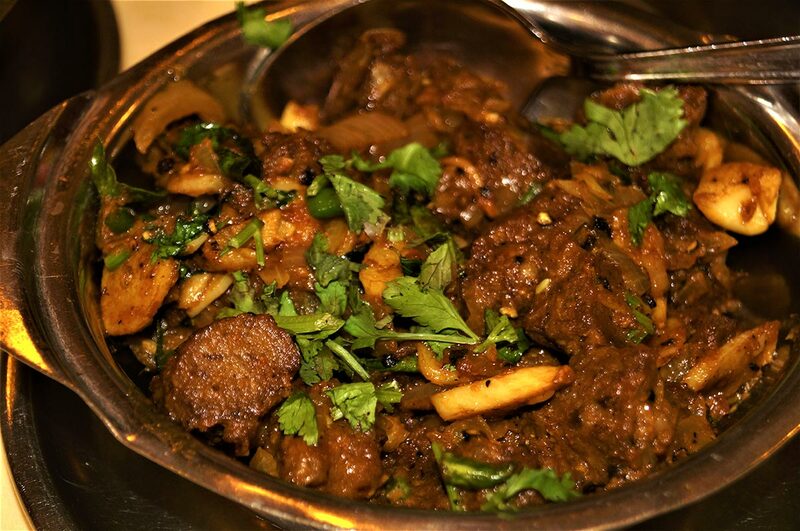 For the Indian community, the cuisines here need no introduction, but for the uninitiated Chinese and Malay families, this is indeed a Muhibbah experience especially with the children. The impression has always been that Indian restaurants in Bangsar are all fine dining and expensive, or you can get the same things in an ordinary Mamak restaurant. But the reality is Saravana is an established brand and a global franchise from Chennai, Southern India which serves good vegetarian dishes that are not terribly expensive. And, it is in a conducive airconditioned environment that does not suggest that it is a posh restaurant. For example, its quick lunch is priced at RM12.70. 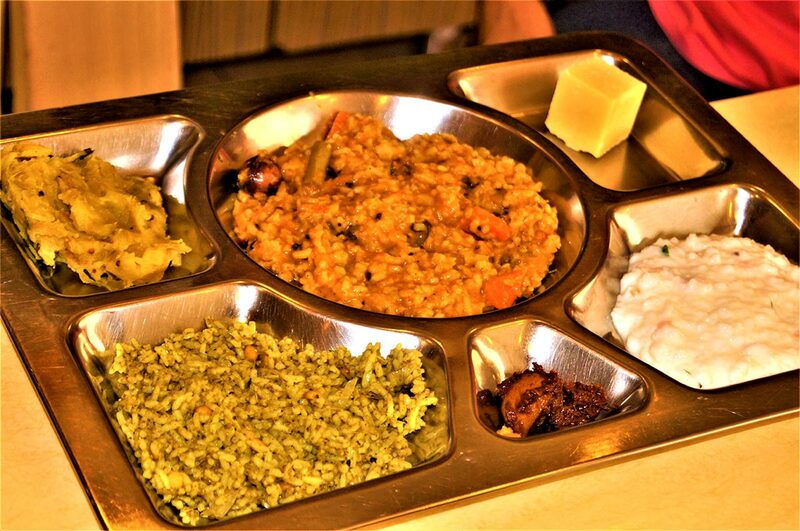 I like to call it the four-season rice, because it features four different ways in which rice can be cooked and served South Indian style; therefore, it is a good way for diners like me to savour a bit of four kinds of rice in one dish. Saravana restaurant chain would be celebrating its Golden Jubilee. Currently, the family has over a hundred franchisees in India and another 72 franchise outlets in 20 different countries around the world. The first franchise outside of India was set up in Dubai in 2000. In Malaysia, its first outlet was open in Jalan Maarof in 2003; since then, another five Saravana outlets have been set up. Shiva’s task is to visit these franchisees at least twice a year in his international circuit. He personally looks into the nitty-gritty of the operations. The crispy pancake-like crepe is not the usual moist dosa that is served ‘flat’ on the plate; it is crispy enough that it can be folded into something that looks like a tunnel, and this is what turns one of the invited guests, Cherise Boey. Even young Alyson Ng, 6, suddenly finds her eyes brightening up to the ‘Channa’ or the fried bread. 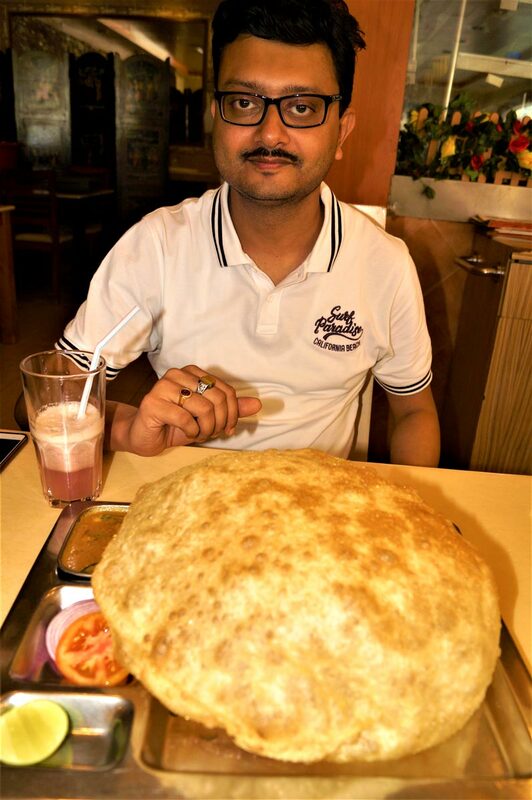 For the uninitiated, the `Bhatura’ is the yummy curried chick peas, which I thought was what made the ‘Bhatura’ taste delicious when eaten with. For those who want to try out their vegan meat, they have their vegan chicken fry (RM11.70) and vegan garlic mutton (RM12.20). The Saravana SPL (short for Special) meals are priced at RM15.90, which is really about the price of a plate of Aglio Oglio in most Western restaurants. It is quite an experience for the children to try out the different things in the Saravana SPL – sweet, poori, a side dish, rice, sambar, rasam, vegetables, curries, raitha, curd and appalam and pickle. This is one good reason why the children can learn something about the Indian culture through its food. 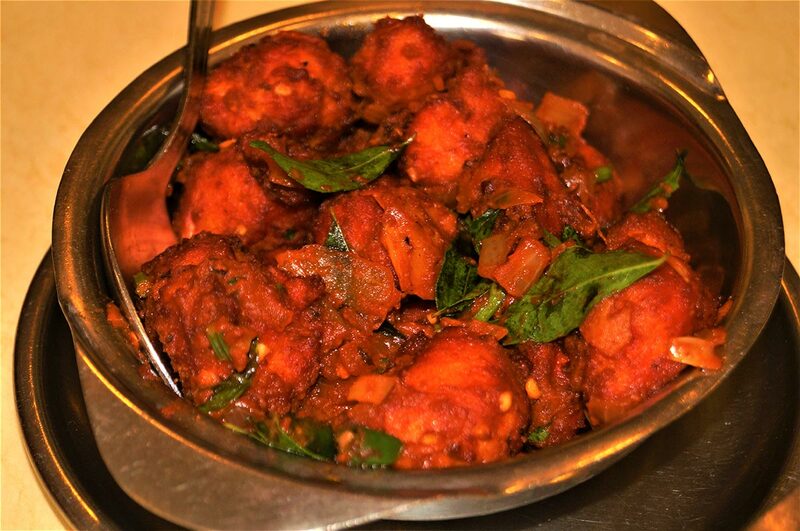 The beauty is that Saravana has a wide repertoire of choice, that sometimes, we find it hard to decide what to try out first, but children pick up fast, and they know what to order after a couple of times. 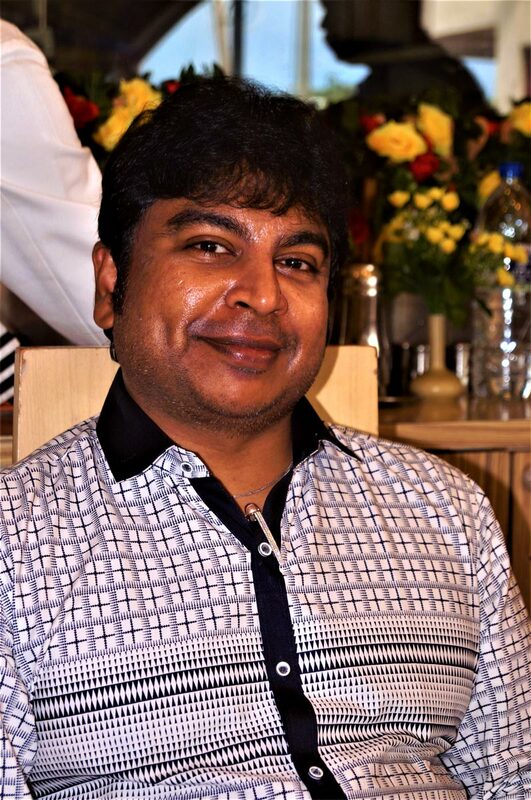 Restaurant manager, Rangasamy Dorairaj says families can ask for a set of quiz questions for their children to attempt to learn something about the Indian vegetarian dishes served. “When they are able to answer all the questions correctly, with some help, of course, they will get a little surprise gift,” he said. 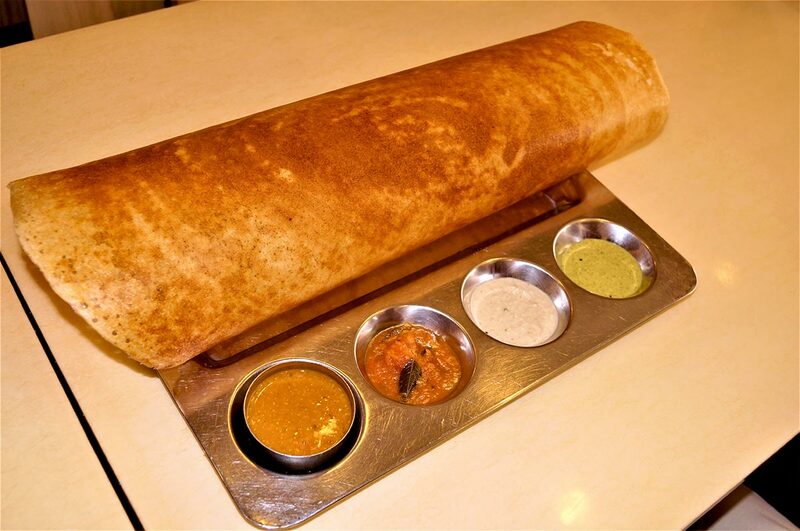 Moreover, for those of us who have not tasted what a good Indian vegetarian restaurant can offer, Saravana offers more than just the food. It is the experience. 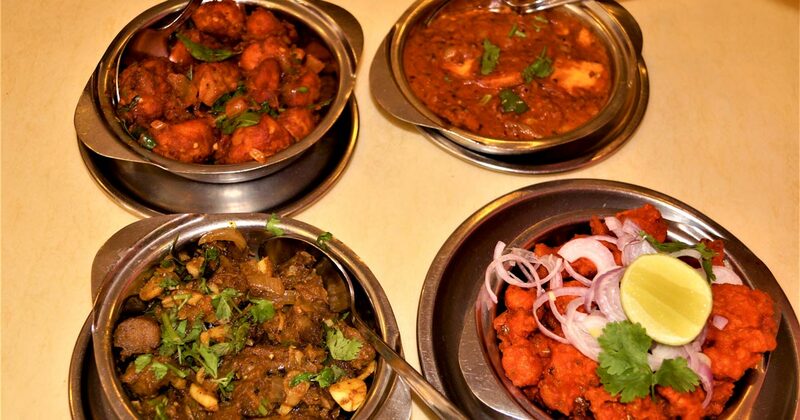 The entire family need not travel as far as to Chennai to try out some of the best cuisines that Saravana serves here. STEPHEN NG is an ordinary citizen with an avid interest in all sorts of gastronomical delights – Western, Middle Eastern and Asian.